Ships tomorrow if you order in the next 19 hours 3 minutes. 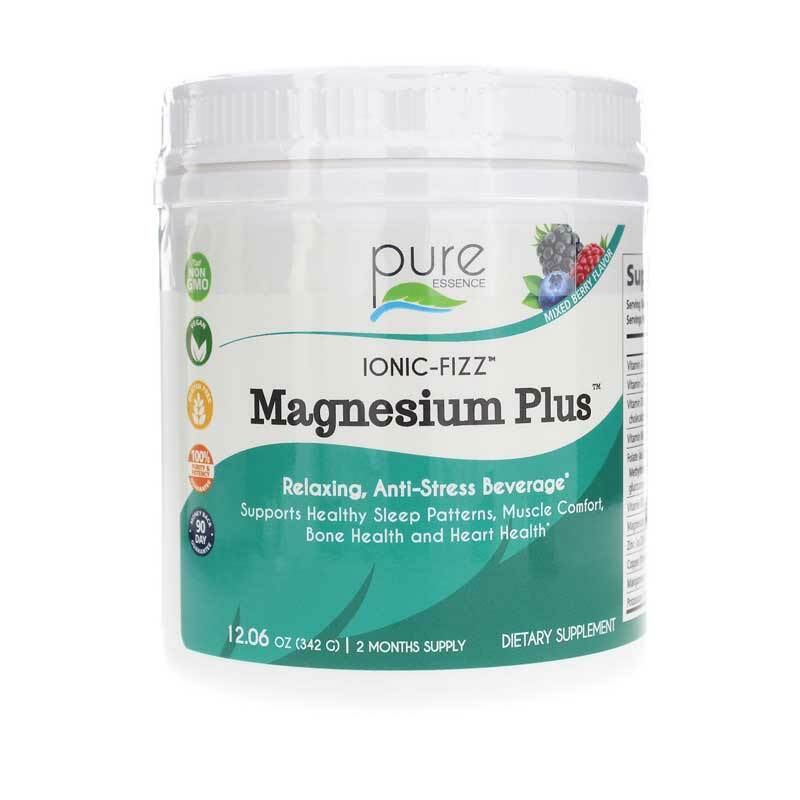 Ionic-Fizz Magnesium Plus from Pure Essence Labs is intended to provide support for the bones and muscles. Magnesium and potassium may both play a role in promoting healthy muscle function. They may play a role in the electrical impulses within muscle. Magnesium may also help to promote healthy bone density. Magnesium is one of the minerals that may contribute to bone structure. Vitamin C may further help to promote bone health. 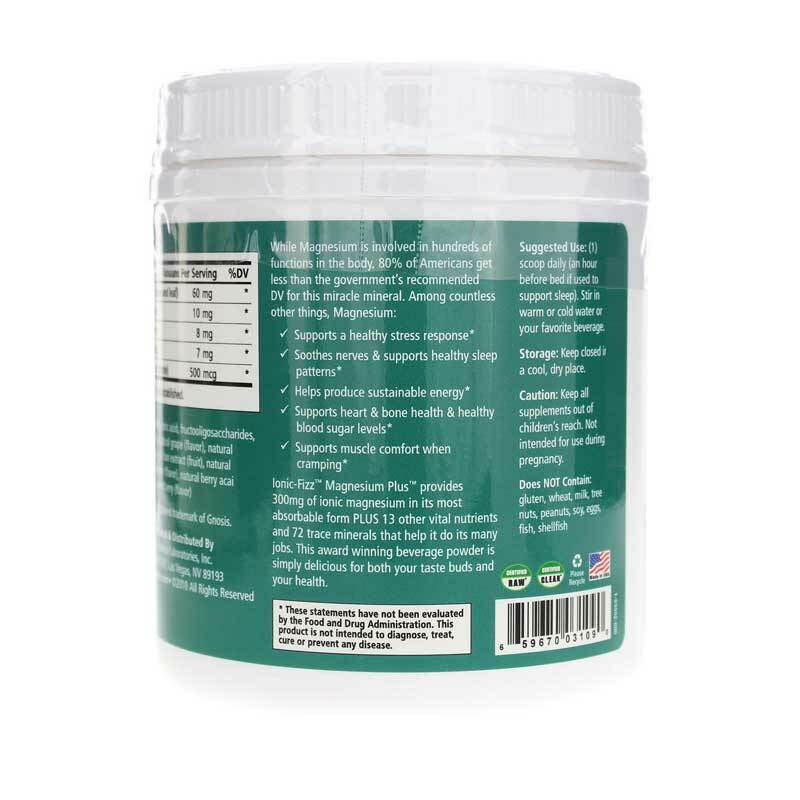 It may also help to promote the health of the joints because of the fact that it may contribute to the production of collagen, a substance found in the connective tissue within joints. 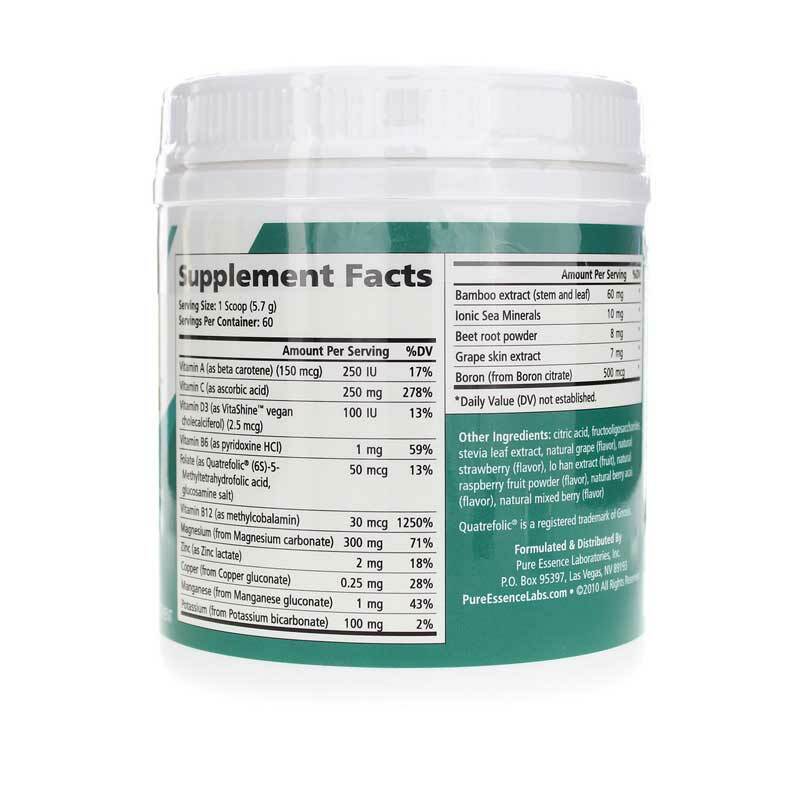 The B vitamins in this supplement may help to promote healthy energy and brain function. They may help in the body's metabolism, or process of converting food to energy. Other Ingredients: citric acid, fructooligosaccharides, malic acid, natural flavors, stevia extract (leaf), lo han (fruit), beet root powder, grape skin extract. Contains NO: artificial colorings or flavorings, GMOs, refined sugars, soy, yeast, dairy, gluten, wheat or MSG. Suitable for vegetarians. Adults: One level scoop in 6 to 8 ounces of water. Great tasting way to get my magnesium and vitamins! I've been drinking the vanilla orange flavor for years but I will have to stop buying this product because with the new looking bottle, the formula got really sweet and tastes super artificial. I drink this to help me sleep, and the last thing I want in my mouth before going to bed is an overly sweet drink. It used to have a perfect tangy, refreshing flavor. I compared the ingredients between old and new bottle and didn't notice a discrepancy, but it's so very obvious something has changed in quality. So sad my favorite bedtime drink is no longer.